This could be the hit that Destiny 2 needs. 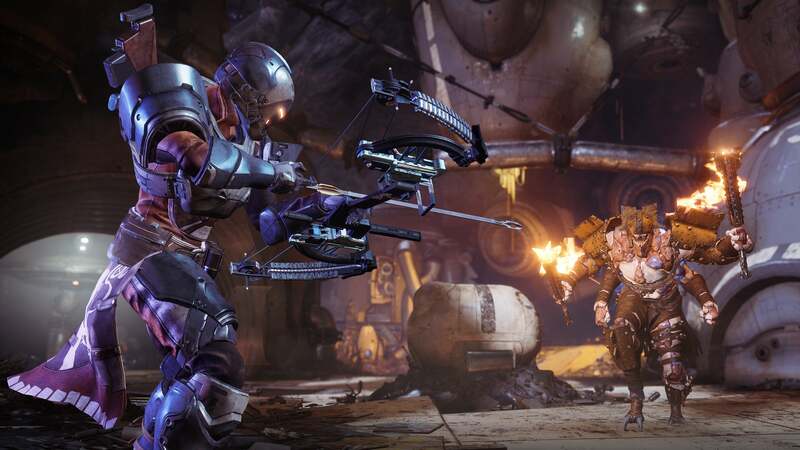 I’m approaching Destiny 2’s big fall expansion, Forsaken, with the skepticism it deserves. 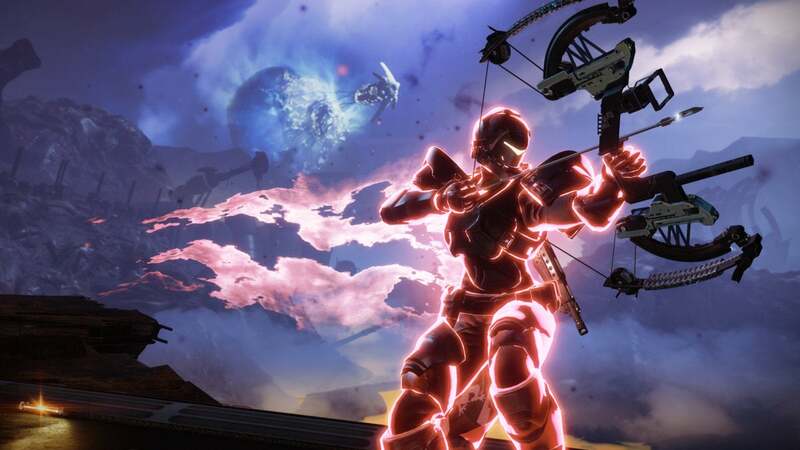 As much as I enjoyed my time with Destiny 2 at release, the game certainly hasn’t managed to win over the “hobbyist” fans due to its lackluster end game, and both the Curse of Osiris and Warmind expansions have been deeply disappointing. But after playing a few rounds of the new “Gambit” activity during E3 this week...damn, I think I might get sucked back in. There isn’t anything else like this available. We’ve got footage from my E3 demo below, and I’ll warn you: It’s not pretty. Bungie had us playing on a PS4 controller, and while I’m certainly no esports star even on a mouse and keyboard, my skills on a gamepad are pretty damn rusty. Still, I managed to take second place on our team—only behind the Bungie staffer playing with us. Apologies in advance for any awkward turns or blind-fire aiming though. In any case, for those who didn’t watch Bungie’s reveal event last week: Gambit is a completely new mode for Destiny 2: Forsaken, on par with Crucible or Strikes. And it’s essentially a combination of the two. 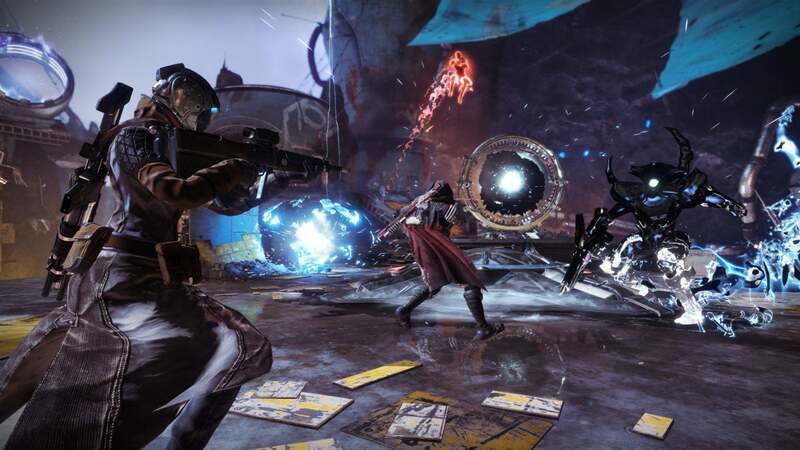 Gambit is actually a mash-up of Destiny 2’s player-versus-player and player-versus-environment capabilities. Here’s how it works: Two teams of four are summoned by The Drifter, a new character in Destiny lore. We didn’t see much of this guy, except that he likes to flip a dogtag like it’s an old coin, and he lives in a massive ship. 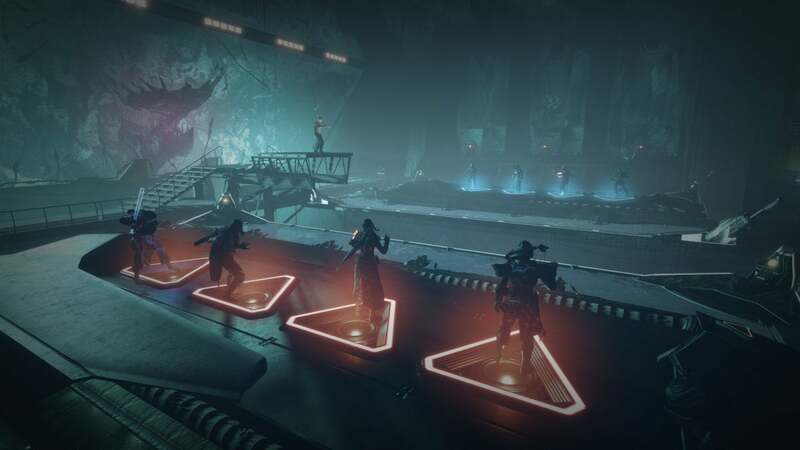 In Gambit, you’ll fly into this ship and briefly see the other team standing in their own waiting room. Taunts ensue. Expect lots of dance emotes. The Drifter then tells you what you’ll be facing in the next match. 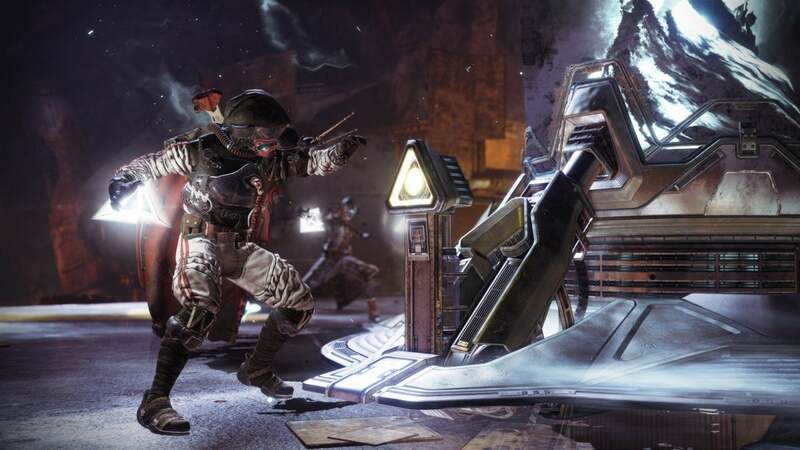 In our two demo rounds we faced the Fallen both times, and on the same map, but Bungie says there will be four different Gambit maps at launch, each with the potential for three different enemy types. (The initial Forsaken reveal showed Taken enemies in Gambit.) Each of those enemy types is then subdivided further into three different encounter setups. Point being: There are a lot of variations. So your team is teleported down onto the surface of the planet, and from there it becomes a race to kill enemies. The key here is both teams are in their own arenas, at least to start. It’s purely PvE, and each enemy you kill drops “Motes”—little white triangles. You need 75 motes in order to trigger the final boss encounter. But the strategies are more complicated than merely rushing to 75. If you collect 5, 10, or 15 motes before turning them in, you can actually spawn a Small, Medium, or Large Blocker. In our case these were all variants of Taken—I think a few Captains for the small blocker, three Centurions for the medium, and Knights for the large. Hard to tell when you’re in the middle of a match though. They’re called “Blockers” because as long as those enemies are alive, the other team can’t deposit their own motes. And the same goes in return—if they spawn Blockers on your side, you’ll have to take care of them before you can continue banking motes. Keep in mind, if you die you lose all the motes you’re currently holding but haven’t deposited, so there’s a risk-reward to holding 15-plus motes to try and dump the Large Blocker on the other team. You might be thinking “Well, PvE in Destiny 2 isn’t that difficult. Why would I worry?” But here’s the thing: At points during the match, the other team can “Invade” your arena, and you can do the same in return. This is where the PvP aspect comes in. A portal opens on the central platform, and you’re then free to send one—and only one—member of your team to the other arena. The invader gets a few buffs, namely what Bungie termed a “very aggressive shield,” to try and give them a fighting chance in a 4-versus-1 situation. Rocket launchers are key. There’s a lot to pay attention to. You’re trying to take down PvE mobs to collect motes, bank them to spawn blockers, send your teammates over to harass the other team, then fend off their invasions in return. You glow red when you invade the other team. It is chaos, especially as the match draws to a close. Once your team hits 75 motes, you’ll spawn a Primeval, a boss enemy you’ll need to whittle down. The catch: At this point, the other team’s invasion portal is pretty much constantly open, and any time they kill one of you it heals the Primeval. At this point you’re fending off other players almost constantly, trying your hardest not to die and undo all your hard work, and slowly chipping away at the Primeval itself. Our team during the hands-on was not great at balancing all these different aspects, and even a 3-kill invasion on my part near the end couldn’t save us. I had a fantastic time, though. Way more than I’ve ever had in Destiny 2’s slow and plodding Crucible. Gambit reminds me of the Bungie of old, when SWAT and Crazy King and Oddball took over Halo. This mode is less PvP focused, but it has that same spark of genius that could make it an all-time classic multiplayer mode. And that’s exactly what Destiny 2 needs, right? It needs something that’s so fun it keeps players coming back. I’m sure there will be hiccups. I expect a bunch of balance passes, and I’m curious to see how Bungie handles any unexpected player behaviors or broken strategies. It’s been...a rough year for Destiny 2. Coming out of my hands-on though, I just wanted to play more Gambit. It’s an immediately accessible and addictive mode, very tense as teams race towards the end, and with a built-in “Ha, we beat you” feeling that I don’t really find from standard deathmatch modes anymore. Add in the reworked weapons system—bows feel great, and you can see me use one in the video—and I’m feeling pretty damn hopeful for Forsaken. There’s still a lot more to see, of course. Will the story be any good this time? Will Crucible ever feel fun? Will our Guardian ever speak? But Gambit is excellent, and if everything else is even half as good I think we’re in for a top-tier expansion.